Actic Group has recruited Anders Carlbark as new CEO. Anders joins Actic from H&M where he has been working the past decade, of which the two last years as Global Head of Merchandising. Anders will take up his new position in December 2018. Christer Zaar, the current CEO, will leave the company during the autumn. ”We are very pleased to be able to recruit Anders Carlbark, after a wide process, as new CEO. His experience from creating relevant customer offers in combination with an international experience will be important in order to strengthen Actic’s customer relations as well as continue the internationalization that the company already has started”, says Göran Carlsson, Chairman of the board, Actic Group. Anders Carlbark, 37 years, has had a number of different roles at H&M in the past decade, and before that as Area Manager at Lidl. “Sports and training are and have been a large part of my everyday life. 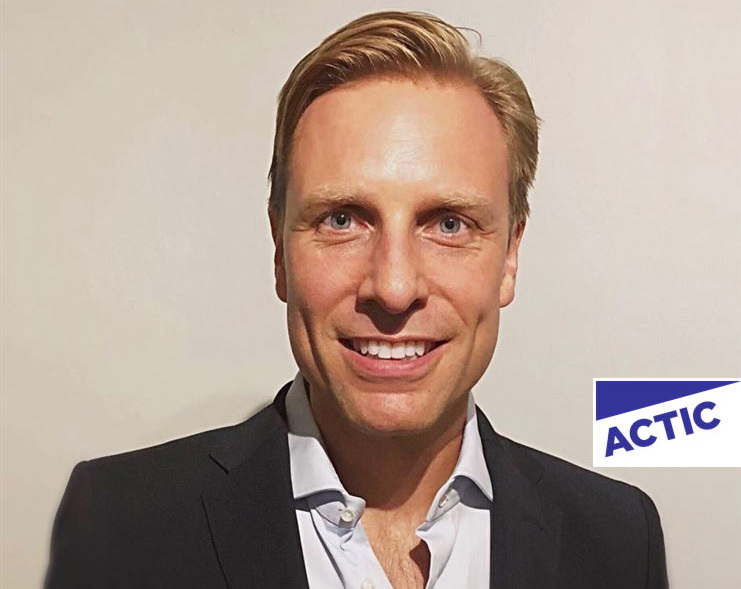 Being able to combine that with my professional life and running one of the Nordics’ leading training- and wellness operators forward in order to create value for both members and shareholders feels very stimulating”, says Anders Carlbark, appointed new CEO of Actic Group. Anders will take up his new position in December 2018. The information above is such that Actic Group AB is obliged to make public pursuant to the EU Market Abuse Regulation and the Securities Markets Act. The information was submitted for publication, through the agency of the contact person set out above, at 12:10 CET on August 23rd 2018. Actic (formerly Nautilus Gym) was founded in 1981 and launched the Gym & Swim club concept. The company began its international expansion in 1995 and as per 30 June 2018, Actic had 180 facilities and 224,000 members in five countries. Actic’s main markets are Sweden, Norway as well as Germany and Austria. Actic offers a well-established exercise method known as high-intensity training (HIT) and offers its members personal training programmes including follow-up sessions with trained instructors. Together with swimming, this forms the core of Actic’s offering and differentiates us in the market. Actic’s vision is to create a healthier society by attracting a broad target group and thereby expanding the market. The facilities engage in the local community to contribute to a healthier society. Actic, which has its head office in Solna, Stockholm, has approximately 800 full-time equivalent employees and had net sales of SEK 881 million in 2017. Actic is led by its President and CEO Christer Zaar. See you at the ISPO!